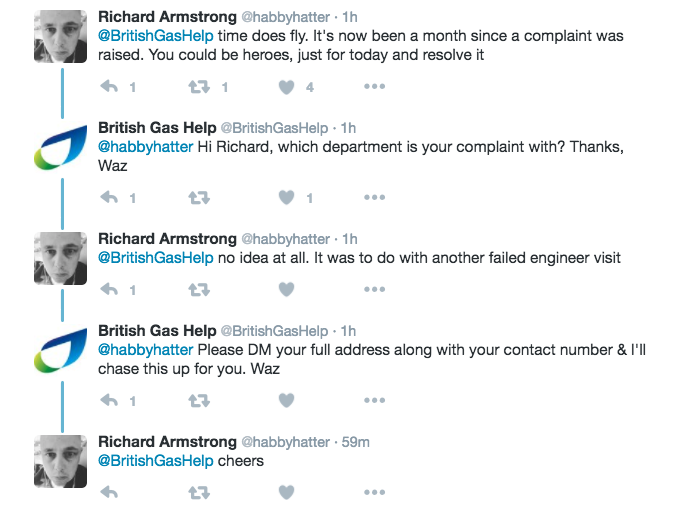 British Gas have annoyed a lot of people with their David Bowie tweet. It may not have escaped your attention that today is a year since David Bowie died. #RipDB and #RipDavidBowie are trending on twitter, and a lot of people are honouring his death. One such person is British Gas Help, who also thought they'd tweet their own bizarre tribute to the music legend. People were quite annoyed by a lot of things in the tweet, including "poor taste", even worse spelling, and "hikacking" a celebrity death in order to "get some PR". @BritishGasHelp Jesus christ. Poor frigging taste. 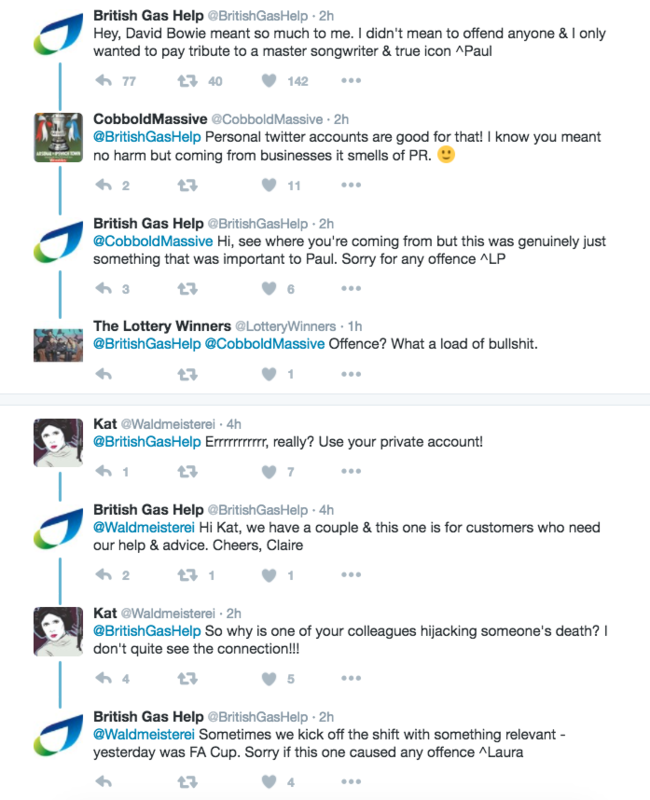 "Sorry if y'all are down today, oh by the way - have a business tweet"
@BritishGasHelp wow. That's extraordinarily poor taste. What are you thinking?
. @BritishGasHelp I hope Paul finds another job that doesn't involve trying to look cool on Social Media! @BritishGasHelp "time flys don't it" My God. "Time flies, doesn't it" is what you were looking for. You know this is visible to the public? @BritishGasHelp this is a cracking example of how not to do social media. They've since spent the morning trying (with varying degrees of success) to deal with Bowie fans livid with them for the tweet, as well as for gas problems they're having. @BritishGasHelp "Time flies" is the lost washer in your boiler repair tweet. Even though a lot of other people don't really see anything wrong with the tweet.